Hey everyone! 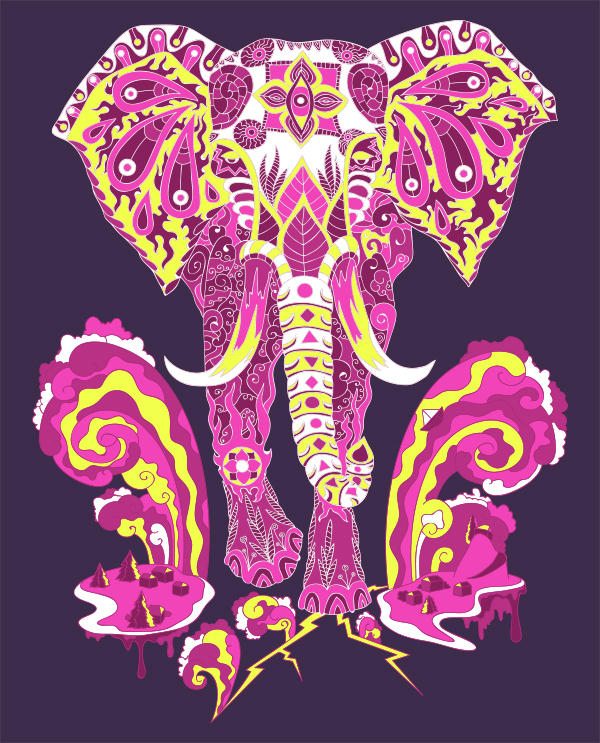 You know I’ve been making psychedelic t-shirt designs for several years now. I’ve completed more than 50 t-shirt design projects for myself and about 15 for customers. 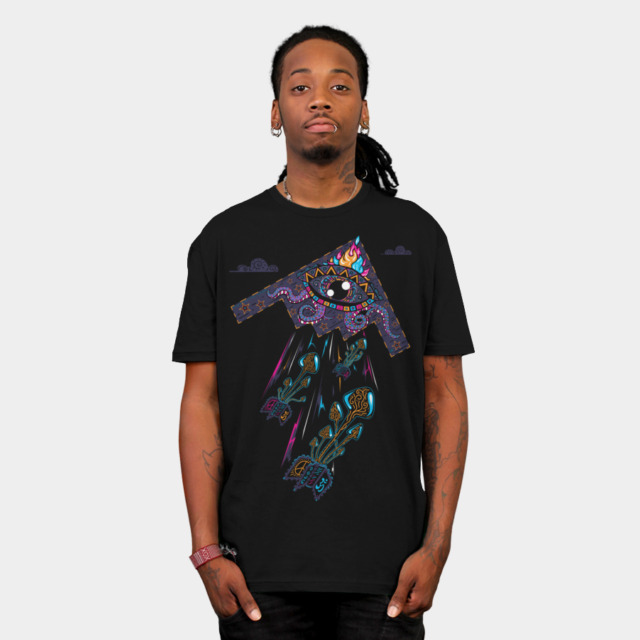 Today I’d like to highlight some features of my successful psychedelic t-shirt designs. I’m not going to talk about such broad things as “You should pick a harmonious colour palette” or “composition is very important”. 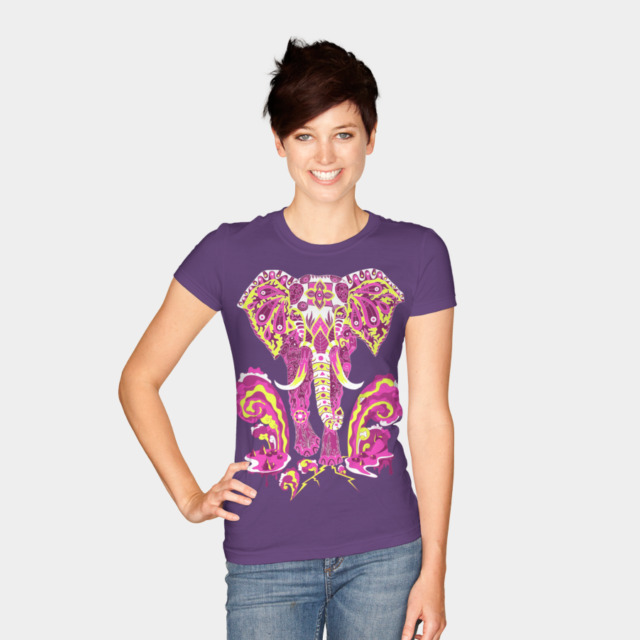 Below are 5 practical tips that you can apply when making a t-shirt design. I’ll start with my most popular design which is Acid Scientist. I’m not big fan of pop art, but this is what people buy. Human brain likes to solve problems and reward itself when it is successful. In this case the brain sees the face that resembles a photo it has most likely seen before. The brain says to itself: “I understand that!” and Boom! You get a serotonin reward. The next thing you notice is the LSD blotter on Einstein’s mouth. It is both funny and provocative. It is a message you share with others when you wear this t-shirt. Being honest this is the only time I did something like that so I can not guarantee anything. Still I see many artists use this technique as surf across t-shirt design websites. The next features refer more to the style and composition. You can definitely use them combined with the technique I’ve just talked about. When it comes to t-shirt design it is important to make it easily scannable. So the main character or element or whatever else should really stand out. This can be achieved using negative space contrast. The other thing is colour, size and lightness contrast within the composition. On the image below the first thing you see is the bear but then you notice there is something going on on the background. This gives additional value to the design – it is not that simple as it might first look like. So many people are stuck in there ordinary life an they are seeking for magic. Help them out! Pick up a fairy tale or some mythology concept and update it with your vision. All these non-human characters are great symbols that ring a bell in consumers minds. All you need is fine execution and original technique so your design pops out from the croud. 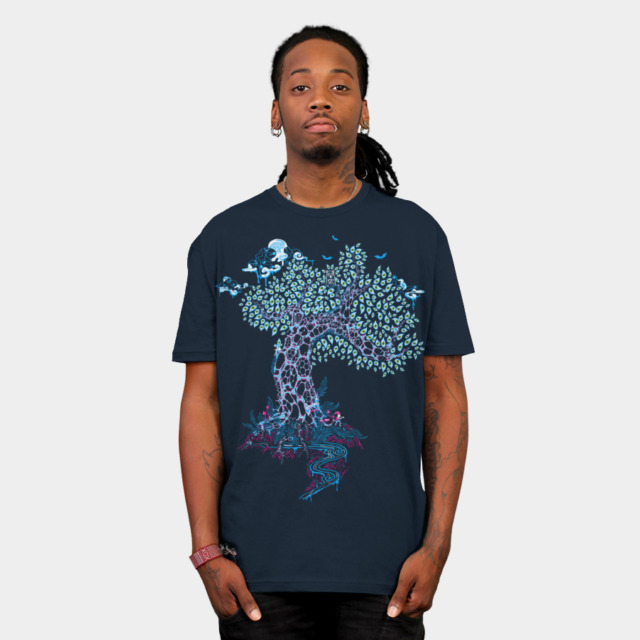 If you are looking for a t-shirt designer feel free to drop me a line about your project (verner.andrei@gmail.com). Or maybe you are looking for wholesale fluorescent psychedelic tees? 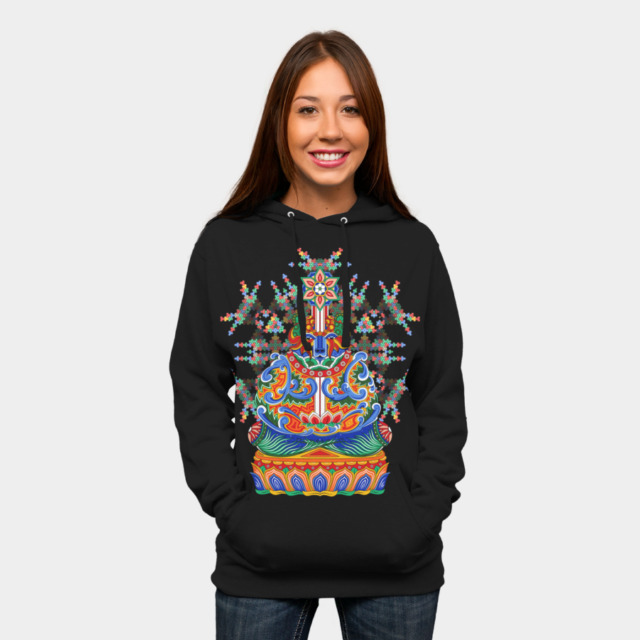 I have plenty of designs that are ready to be printed and sold and shipped to you.